Today, take just ONE step forward + revamp your daily routine! It's the step-by-step guide you've been looking for. 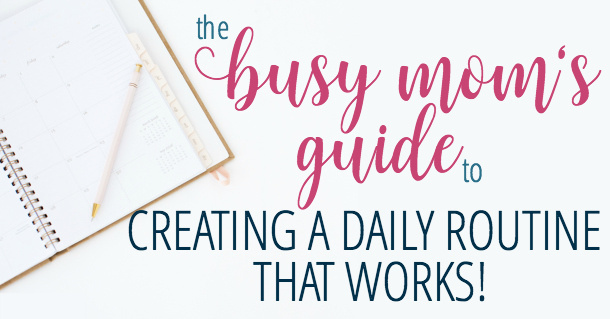 Download our free guide to creating a daily routine that works! It's not just for moms, it's for any woman ready to take control of her daily schedule again. Subscribe below and you'll get immediate access! When you download our free guide, you also get access to our community & will receive our weekly newsletter, providing you with encouragement and resources to help you manage your home and family well.